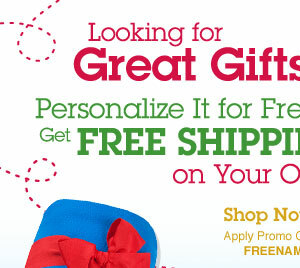 Visit the Disney Store website to get **FREE** shipping and **FREE** personalization on some great Disney gift items! Use the promo code FREENAME when checking out. *Offer ends 11/10. Make sure you shop through ebates or ShopAtHome for an additional 5% cash back on your purchase!